Getting a client’s attention can be frustrating. Using a program template to create a unique and custom poster can fulfill ad needs for low cost budgets. Bulletin boards allow for easier and lower cost advertising through informative posters. These posters can include pictures and designer fonts to bring the right person to the pet, but can be hard to create. Using the Pet Adoption Template can help make this advertising ad option easy for anyone. Often, adoption bulletin events are advertised on a piece of cardboard displaying a message scrawled in thick marker. They are hard to read and a lot of important information is lost in the hand written script. These can remain overlooked by passers and colorful, informative posters can catch the eye of hopeful pet owners and make the adoption event a success. Help any event stand out from the others with the Pet Adoption Template – easily customized and free to download. With online help available and easy-to-use options, making beautiful, eye-catching posters has never been easier. Choose a size for the poster. Pick an attention grabbing font. Start by filling in the information about the event. Be sure to add the address of the event and a phone number. Add photos and information about the pets available. Use the template to choose a color scheme and print. Make the poster creative and colorful. Use large fonts to attract attention. Use large photos so they are easy to see. Remember to include other important information, like fees! Let the template do the rest. Just fill in the information. Save the poster for future events. The template will be saved for future use too. Templates make advertising easier with customizable options to bring ease to any creative need. Downloading is easy and starts your project right away. Have posters out for people to see. Create an easy but amazing announcement for the adoption day and have more time to prepare the animals for their new homes. 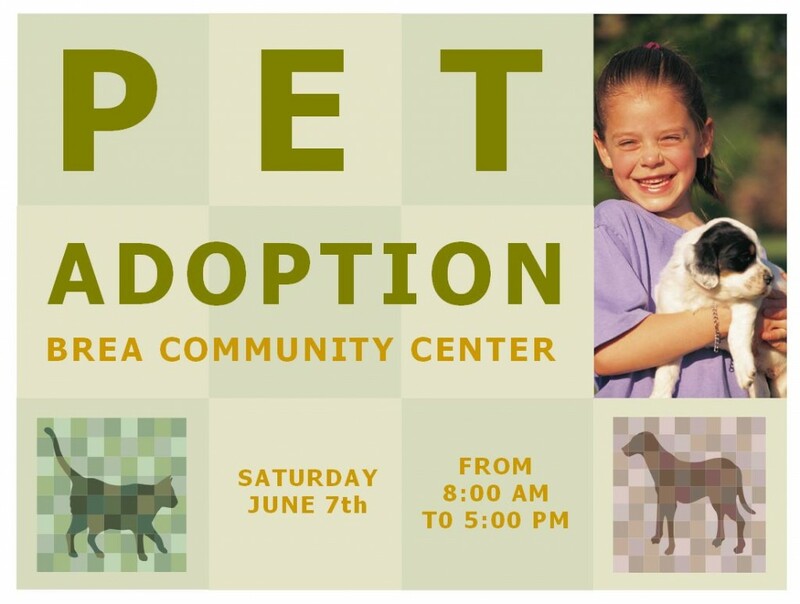 Try the Pet Adoption Template and have a happy adoption event.